Pippin’s song in the new teaser may match a rightfully tragic end to “The Hobbit” film trilogy. The song could also fits with “headcanon.” In The Return of the King, Denethor sends his son Faramir on a tragically impossible quest, then blithely asks his new servant, the hobbit Pippin, to sing for his amusement. Pippin, aware of the heartbreaking contrast, sung this song — which could have been a song that Bilbo wrote in view of the similar tragedy that ends The Hobbit. 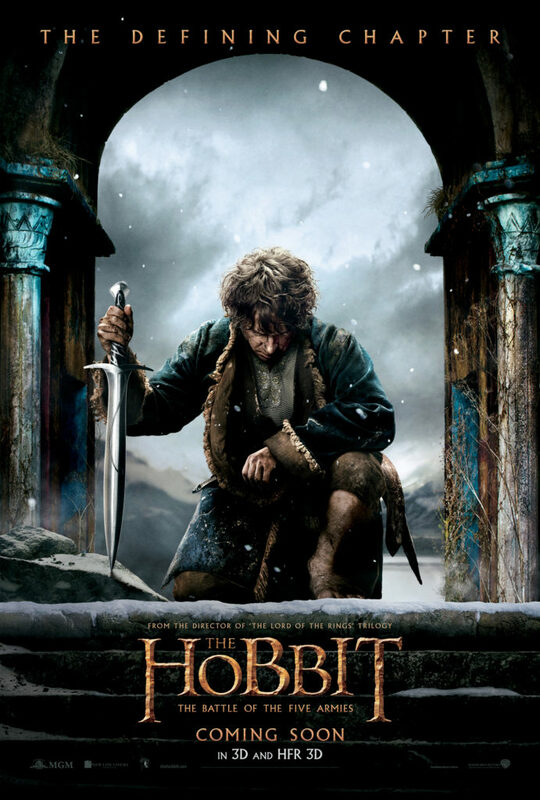 To be faithful to the book, The Hobbit film trilogy must conclude with the same heartbreaking tragedy that this teaser evokes, instead of offering a nice fairy-tale or comedic ending … just like the conclusion of J.R.R. Tolkien’s The Hobbit that so many people wrongly perceive as a simple children’s story. Thus if The Hobbit: The Battle of Five Armies is a fitting trilogy-ender, it should actually get many negative reviews. People need to be annoyed at the darkness of the story and the surprising subversion Tolkien employs of the “good king returns and saves the world” trope. Perhaps evangelicals in particular need to be tweaked further into complaining, “Whatever happened to the nice little children’s story about a happy hobbit on an adventure?”, after which they should go read the ending of the actual book — which reads as if Tolkien was beating film director Peter Jackson to Jackson’s game. Of course we will. We might never get a chance to see something LoTR on the big screen again. At least, that’s what they want us to think. They’re marketing nostalgia. Perhaps, but my reasons listed above are still true: the song has both thematic ties to the follow of Thorin and an in-universe connections between Pippin and Bilbo. I don’t think it’s simply a case of, “Let’s stick a familiar thing into the new film trailer even if it doesn’t actually match the idea of the new film.” Instead it matches all too well. Actually, “Pippin’s Song” is a revision of Bilbo’s Walking Song, which is either a traditional hobbit-song or Bilbo’s revision of such a song -albeit more references to bath and bed than in the movie.